Haré was a happy boy living out his days in the jungle with his mother, but then one day Guu showed up and became a member of their household. Throughout the series he faces many hardships as he tries to keep Guu out of trouble in the jungle. 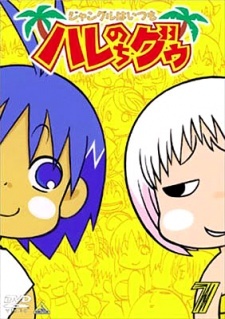 Watch Hare+Guu Episodes Online at Animegg.org. Hare+Guu is available in High Definition only through Animegg.org. Choose an episode below and start watching Hare+Guu in Subbed & Dubbed HD now.